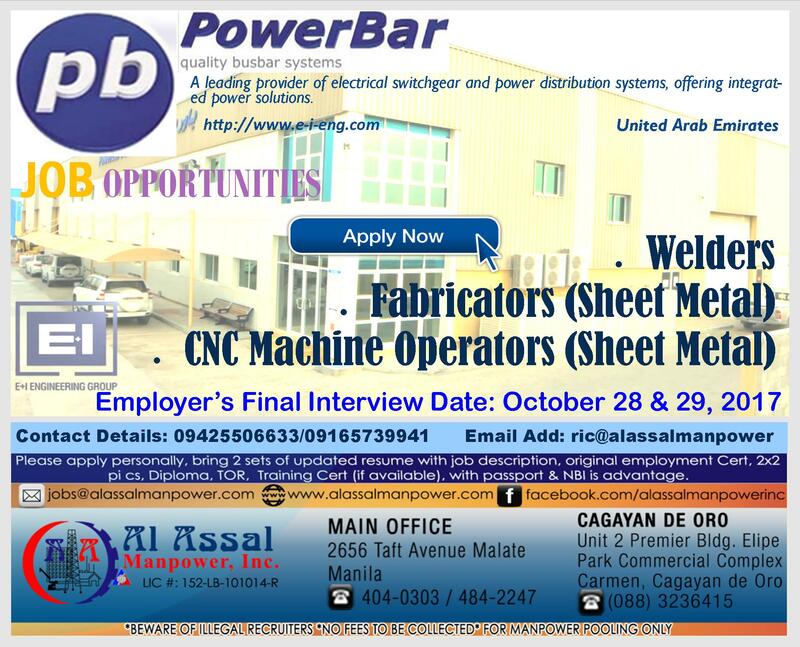 One of the leading manpower provider in its current market in the Philippines, in the Middle East and Asia region. With our quality service and vast databank, we are solely dedicated to provide our clients with experienced professionals, technicians, skilled and unskilled workers in all trades to meet your job requirements and needs. Whether you are looking to take on a specific project or an entire recruiting function, our company has the new resources to provide you the best manpower in any field. With our commitment to integrity, excellence, competence and precision, Al Assal assures ultimate satisfaction in our dealing with our candidates and business partners. Our company aims to provide total client satisfaction through competent and quality personnel. We do not compromise the quality of our service. As a professional recuitment agency, we guarantee satisfaction and continous service to our clients, as we prefer only qualified candidates for your consideration.